If you have read my articles, you should probably know that i’m hooked on tracks using pianos. So there shouldn’t be any surprise when i feature an artist that is famous for using acoustic instruments in his tracks. 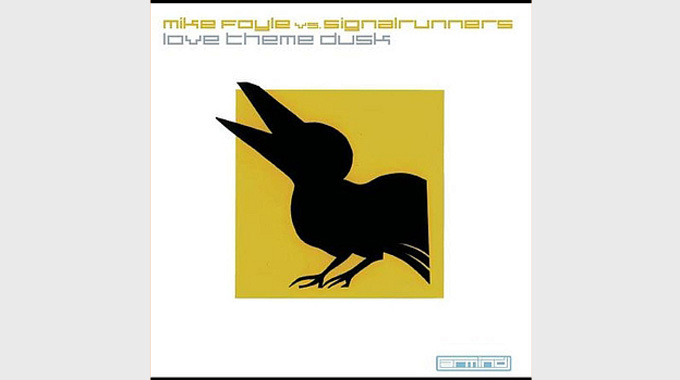 I’m ofcourse thinking of Mike Foyle and his lovely collaboration with Signalrunners on the lovely track Love Theme Dusk. English born Mike Foyle started his musical career at the age of 8, playing the Violin. Being raised in a musical family with his father playing the cello, bass guitar and acoustic guitar, there was no question that Mike should play acoustic instruments. His great success as a musician in Southhamptons Youth Sinfonetta Orchestra at an age of 15 eventually gave him the title Concertmaster and first violinist. He continued to study music at De Montfort University in Leicester and finally earned a degree in Music Technology and Innovation in 2009. The first musical release came in 2005. His first release, Mike Foyle Presents Statica ‎– For Your Eyes Only / Space Guitar was a really decent release. For Your Eyes Only has some great progressive melodies and Space Guitar has some really sweet guitar-playing in it. Space Guitar was first featured on Markus Schulz’s Coldharbour Sessions before the initial single-release and the single eventually ended up on the Electronic Elements-label, a sublabel to Armin Van Buuren’s Armada Music. But it was with the second single, Love Theme Dusk that his big success came. The track, co-produced with Signalrunners did get major support by Armin Van Buuren who used it as a signature tune in his playlist. The track was released with a more progressive remix from Mike Foyle and a more trancy remix by Signalrunners. I just love the use of Piano in this track, you can easily hear that this is made by a guy schooled in classical instruments. A fun fact is that the piano melody was actually written by Dave Schonauer and interpretated by Mike Foyle to a complete success. The next release, the collaboration with Filo & Peri on Luana is another trancy track. You can easily spot the Filo & Peri-buildup together with Mike’s melodies. This is one of those tracks that i’ve forgot about. Might have to put this on my playlist again. Another favourite, the 2006 hit single Shipwrecked is simply amazing. The piano in this is to die for. John O’Callaghan vs Mike Foyle’s remix is my favourite version, a massive dancefloor filler. Also take a listen at the Sean Tyas and Gareth Emery’s versions. Worth noticing is that Armin Van Buuren used a sligthly different version as intro on his A State Of Trance 2006 yearmix. Armin’s version used elements from the chillout-version combined with the John O’Callaghan vs Mike Foyle-version and was simply amazing. There was also a re-release of Love Theme Dusk in 2006 called Space Theme Dusk. IMHO they destroyed the track, too many layers and what mostly made the original good, drowned in the advanced background music. The 2007 single, Firefly sounds like a russian lullaby on drugs. Tight buildup, amazing piano in the breakdown which explodes into a pumping dancetrack. The track Hex under his Bolt-moniker is just crazy. Starts off really techy with some wierd sound effects no real melody, just a wobbly bassline. Don’t know if I love it or hate it. The next hit, Pandora was a really sweet piano-driven track.It also has a lead that sounds like a violin. The original is really good but i prefer the Blizzard-remix which is more progressive. Bittersweet Nightshade was another hit single though not using any piano on this. It’s more progressive than the last few tracks. A fun fact is that Blake Jarrel’s version exchanged the lead instrument to a piano. Sweet Sammy Jane was another piano-driven track and the some girl-sighing/moaning which fits the track perfectly. The piano reminds me of the early Love Theme Dusk/Shipwrecked. The next collaboration, this time with Augustine Leudar on De Bells Of Nafin is somewhat of a chillout/ambient track. Very different from the other tracks. Only released as a single track on the compilation Armada Lounge vol 2. Chords Of Life, together with Sparx was a really good uplifting track, although pretty slow. Simply amazing and really well-produced. Deadly Nightshade was a dark progressive track and came with a really sweet hi-energy remix by Phynn. Sundown (with Akino Arai on vocals) was the first vocal track from Mike. Though he used bits in the Nightshade-tracks, he has never used full vocals so far. The b-side, Blossom uses really warm pads and a really original melody. Reminds me somewhat of another favourite of mine, Sunny Lax – Reborn (Nitrous Oxide Remix). In Silver Lake, you can hear Mikes early year as a violinist, the sweet classical breakdown is a true masterpiece along with the edgier darker sounds in the beginning and after the breakdown. A future favourite for sure! It’s very different from all other trance tracks out there. The collaboration with DNS Project on Cayo Norte is a match made in heaven. The progressive beats together with Mikes classical breakdown is so epic. Just love how well produced the track is. Mike released a 2-track EP under his Bolt-moniker, Buff Monkey / Rascal. Both are a bit darker than his usual stuff. Also, they are more jumpy and not the smooth productions that you are used to hear from him. Shades Of Red and Shades Of Blue were both a step back to the more progressive side of Mike Foyle. I just love his melodies. The collaboration with ReFeel on Universal Language is another sweet trancer and used an acoustic guitar as lead instrument. The collaboration with Mat Zo on Simple Things is back to the more progressive and jumpy side with a really wonderful piano breakdown. The last track from Mike Foyle was a collaboration with Leon Bolier on Placebo. The track uses Leon’s signature buildup with an amazing viiolin and piano breakdown. There is also a sample of a woman chanting in the track with fits the track perfectly. I have to say after listening through Mike’s dense material, he has collected quite a bunch of real gems over the years. Many of the well-produced and piano-driven productions he’s released over the years deserves legendary-status. The many collaborations over the years has made his productions tighter and I guess we will hear alot more from Mike Foyle in the future. For a really bright future he has.